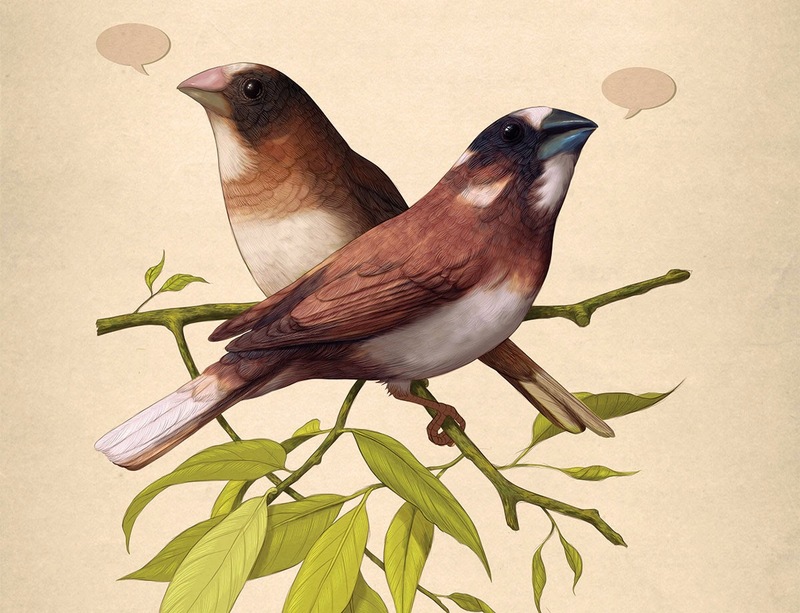 Home » bird , birds , caged birds » Talk is cheep: Do caged birds sing a key to language? Talk is cheep: Do caged birds sing a key to language? WHEN you watch Kazuo Okanoya on stage, bobbing up and down, chirping, you know he is passionate about his work. His lab at the University of Tokyo is alive with the sound of the birds that inspire his performance – row upon row of cages full of Bengalese finches. You can see why he is so taken by them. They are beautiful and good-natured, and they sing like a dream. Okanoya was brought up in rural Japan surrounded by farm animals as well as his own menagerie of pet hamsters, turtles, hermit crabs, chipmunks and finches. "As a child, I loved animals more than humans," he says. That he ended up studying birds is hardly surprising. But what he has discovered certainly is. He set out to explore how singing cements the intense bond between pairs of Bengalese finches and underpins their devoted parenting. Instead, his experiments might have implications for one of evolution's most enduring mysteries: the emergence of human language.